Do you have a curious child? A child that loves ADVENTURE, CLIMBING, DIGGING, BUILDING and searching for BUGS? Then this workshop is just for you! Come along and see what our Eco Explorers bush program is all about! 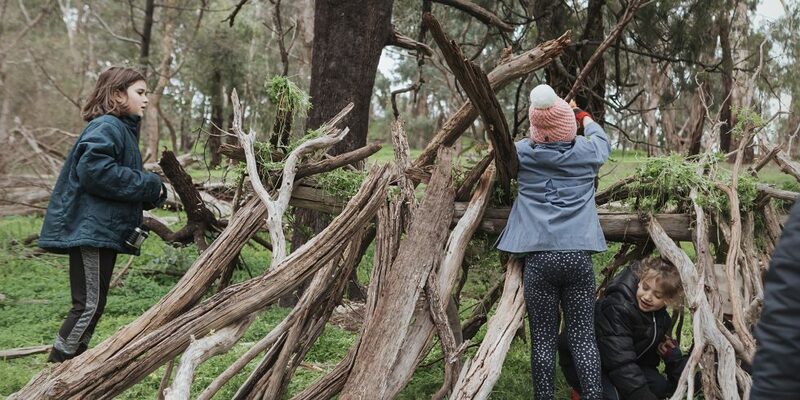 Children will go on an adventure searching for clues that tell us about the animals that live in at Arthurs Seat park in the Mornington Peninsula. There will be a scavenger hunt and children will search for footprints, burrows, bones, nests, bugs, webs, footprints and even poo! They will learn about life cycles, plants, bugs, wildlife and maybe even spot a kangaroo! The children will be encouraged to use their bodies through climbing, balancing and explore the bushland with friends. They will also get a chance to build a bush cubby! This is a great activity for encouraging team work, problem-solving, creative thinking as well as learning essential bush skills. There will be plenty of loose parts to inspire creative play and their imagination and some mud kitchen play for the younger ones. Our workshop facilitator, Alison is a Mornington Peninsula local, qualified Primary and Secondary Teacher and Anthropologist who loves camping with her boys, the snowy mountains, beach and bush walks. *Parents are responsible for their child at all times.